Magento is one of the most popular ecommerce platforms on the market today, and is often billed as the most SEO-friendly ecommerce platform available.But, the reality is that Magento is a complex beast, has complex SEO requirements to consider and can end up being an SEO burden rather than a success….which is perhaps why you find yourself on this page. 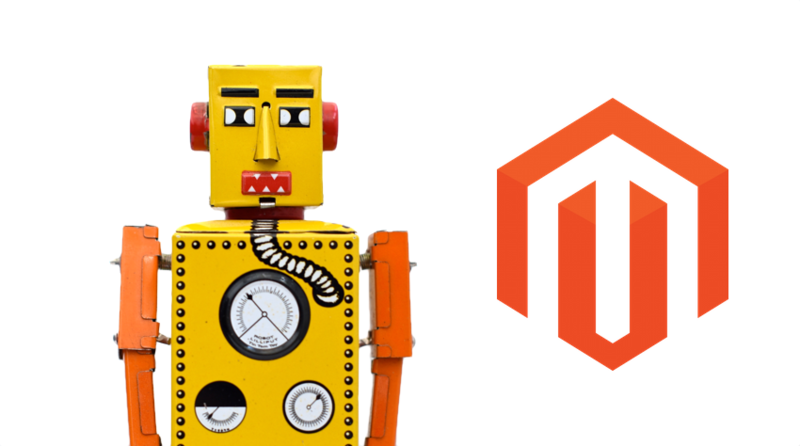 Perhaps you run a Magento ecommerce online store and are thinking about SEO. Perhaps your design-and-build agency promised to “build in SEO” as part of the process and things have fallen flat. Perhaps you’ve done your own SEO and are looking for an expert team to take it to the next level. Perhaps you’re simply convinced something is wrong as you’re not experiencing the search rankings, sales and success you believe you deserve. Perhaps you’ve recently migrated to Magento and your organic search rankings have plummeted and your sales have tanked. That’s where we come in. Can we help? Absolutely. Site Architecture Planning, On-Site SEO, Google Analytics Set-Up & Configuration and a Full Migration plan for the world’s leading diary maker. Did we mention twelve separate websites across four separate domains, targeting multiple international markets, all run from one Magento install? And the PPC Campaign we ran that drove a 600% ROI? A huge project, delivered. Working over the course of several years we’ve helped transform the ecommerce fortunes of this long-established clothing, sneaker and skate store in Bournemouth. Problems solved, Conversion Rates Improved, Rankings Uplifted and Sales Improved – enormously. All part of the service! 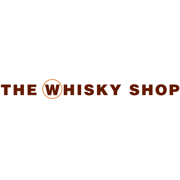 Welcoming over 2.2 million customers every year to their 22 stores around the UK, The Whisky Shop is one of the country’s leading drinks retailers. We support their highly successful ecommerce business by delivering expert SEO advice to their talented team. Slainte! With a history stretching back to 1840, Laing (and its sister brand Parkhouse) is one of the UK’s pre-eminent jewellery retailers. Two ecommerce sites running off a single Magento install meant a variety of interesting SEO challenges – which naturally the team rose to. A well-optimised Magento store needs a solid, well-planned structure in place to ensure it succeeds from an SEO standpoint. Duplication of categories has to be avoided, navigation must be logical (both for users and for search engines), products need to be placed in the right location, supporting content needs to sit clearly alongside category and product content. To achieve true SEO success this all needs to be done on the back of detailed keyword research so that your pages are perfectly aligned with searcher demand. If you’re starting a Magento build from scratch, we believe it’s essential to get this right before anything else. If you’re already up and running and structural issues are at play, they can be solved with the liberal application of hard thinking and a lot of technical work. Product Nesting can make or break SEO – with Magento it’s all too easy to find yourself in a situation where you have multiple identical copies of products all over your site, which inevitably results in confusion for users and for search engines, not to mention yourself. The issue stems from product URLs being nested within their category/folder structure rather than sitting at the top level of the site, as when you place your products in multiple categories, you create multiple copies of the product page. The problem? Search engines don’t have a clue which product to rank and end up choosing at random, if they choose at all. The solution? Put all your product URLs at the top level, which is of course easier said that done, particularly if you’re up and running and need to plan a huge 301 redirect job, but we can help with that, naturally. There comes a point in every Magento store’s life that a decision is made to add Faceted Navigation, or Filtered Navigation as it is sometimes known, which from a users’ standpoint is brilliant, vastly enhancing the usability of site. From an SEO standpoint, however, this is probably the quickest way to create an SEO melée of epic proportions. Done wrong, Faceted Navigation can result in the generation of huge numbers of spurious pages on your site – literally an infinite number of pages if you really go to town. Imagine seeing an Indexing Report from Google telling you they’ve tried to index 250k URLs in the last 24 hours. Imagine your bandwidth bill as Google downloads hundreds of gigabytes of data from your server. Neither are pretty. But, with the application of detailed SEO knowledge courtesy of our team, faceted navigation can be a beautiful success. Perhaps the most common enquiry to receive is the call from the distraught owner who tells us that despite the promises made by their developers, a migration to Magento and relaunch of their web site comes with a severe drop in organic search rankings and a catastrophic drop in search traffic. The inevitable consequence is a huge drop in enquiries and sales, and a panic. Happily, we’ve been there before, got the T-shirt and the souvenir certificate – if this has happened to you, we can help. I‘m sold! I need Mackerel Media’s team on the case right away. What do I need to do? That’s quite simple – send us an email at hello@mackerelmedia.co.uk and we’ll come back to you as soon as we can. If you prefer to talk, call us on 0131 510 7150 to speak to one of our experts.